We are proud to announce DNX Ventures has invested in Zūm — a ridesharing platform for children — in their Series C financing round, together with BMW iVentures, Sequoia Capital, Spark Capital, among others. Special thanks to my friend Dr Ulrich Quay at BMW i Ventures for bringing this round together. Our relationship with the company goes back a long way, from when the three founders — Ritu, Vivek, and Abhishek — were building the early forms of the Zūm platform in Hero City, our office and co-working space in San Mateo. Even from that time, I was moved by the team’s fortitude (we saw just how hard they worked) and their clear-eyed vision to solve a key problem facing many modern families: balancing the demands of a career and childcare. Zūm’s own founder & CEO Ritu Narayan found it challenging to maintain that balance, which served as the impetus behind the creation of Zūm. 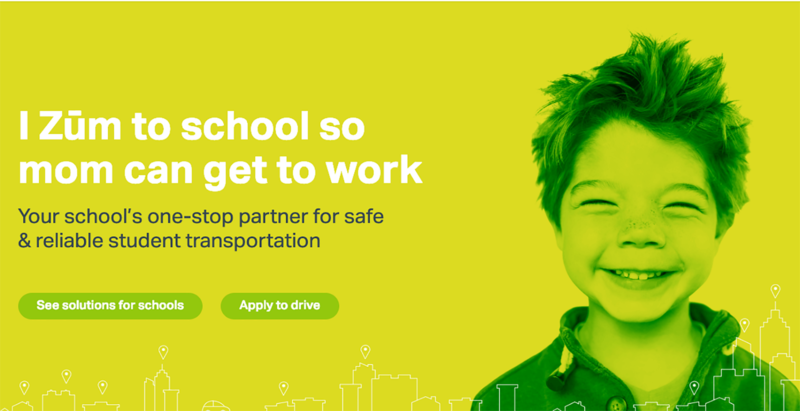 Since the days of Hero City, Zūm’s team has grown and the platform is now servicing over 2,000 public, private and charter schools, yet the team has remained steadfast in their commitment: to provide children safe and reliable transportation. We are thrilled to partner with Ritu and the Zūm team as they continue this mission. Zūm is the leading provider of safe, efficient and reliable child transportation for school districts and busy families. Zūm saves schools money and parents time by providing flexible transportation options through its network of highly vetted drivers and advanced scheduling, routing and tracking technology. Founded in 2015 by Stanford and eBay alums, Zūm is backed by leading venture capital firms including Sequoia Capital, Spark Capital, BMW i Ventures and DNX Ventures. The company is headquartered in Redwood City, California. For more information, visit www.ridezum.com. The $40 Million Series C financing was led by BMW i Ventures and the capital they raised will be used to expand their service to Dallas and Chicago in 2019. Zūm started its service in San Francisco Bay Area and has expanded to Los Angeles, Orange Country, and San Diego to date. Zūm have developed advanced routing algorithms and machine learning models to automate efficient route creations and matching drivers with rides. The algorithms optimize on various constraints that are directly related to customer, driver and school experience on Zūm ride. Abhishek Garg (CTO; Novartisand PhD Computer Sci/Bio-informatics). Ritu Narayan, Zūm’s CEO and founder, is an experienced product guru who has worked as a product manager at Yahoo!, eBay, and Oracle before starting a company. She’s shown her exceptional ability to hire and build a team of top talents from companies such as UBER, Google, and Amazon at a remarkable pace. For example, Michael Brown, SVP of Operations at Zūm, was the former Regional General Manager at Uber APAC, having successfully launched and spearheaded Uber’s Asia Pacific operations. Head of Platform at DNX Ventures.